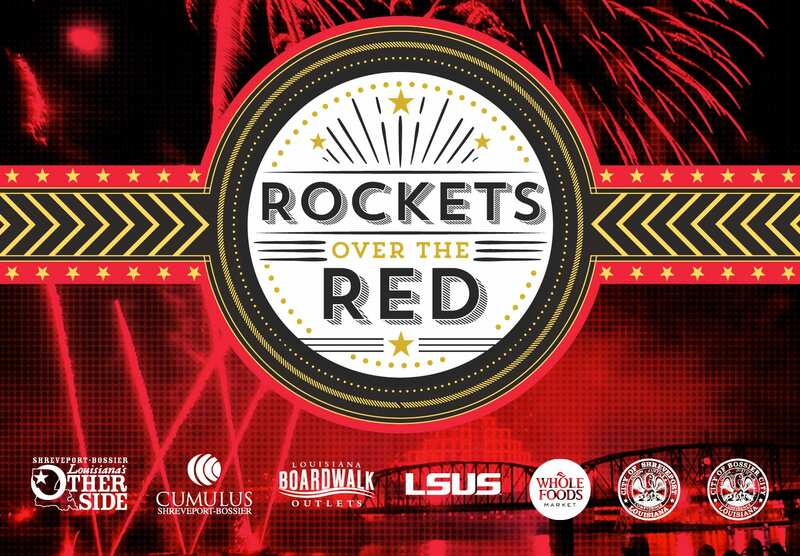 Rockets Over the Red Fireworks Festival, an annual holiday fireworks extravaganza held on the riverfront in Shreveport-Bossier, will be held, 2-7:30 p.m., Saturday, Nov. 26. For the first time ever, the event will expand to include festivities on both sides of the Red River – in downtown Shreveport’s Riverview Park as well as at the Louisiana Boardwalk Outlets in Bossier City. Admission is free. This event is brought to the community and visitors by Cumulus Radio, the Shreveport-Bossier Convention and Tourist Bureau, Louisiana Boardwalk Outlets, the City of Shreveport and the City of Bossier. Television coverage of the event will be broadcast on KTAL News Channel 6. Event sponsors include Louisiana Boardwalk Outlets, Whole Foods Market Shreveport-Bossier City and LSU Shreveport. will conclude at 7:30 p.m. In the event of a rainout, the event will be held on Sunday, Nov. 27. Both sides of the Red River will feature great firework viewing areas at Riverview Park in Shreveport and along the Riverfront Promenade at Louisiana Boardwalk Outlets in Bossier City. Attendees are encouraged to arrive early to get good parking and a great spot on the riverfront for fireworks viewing. Both viewing areas will offer live entertainment, kids’ activities, food vendors and arts and crafts booths. All restaurants and shops in the area of the festival will be open before and after the fireworks show. The official event hashtag for social sharing is #RocketsOverTheRed. For more information on visiting Shreveport-Bossier, visit www.Shreveport-Bossier.org or call 800-551-8682 and request a free copy of the Official Visitors’ Guide to Shreveport-Bossier. For a complete list of upcoming events in Shreveport-Bossier, visit www.SBFunGuide.com.